NEW AT GRAVOIS BLUFFS PLAZA! 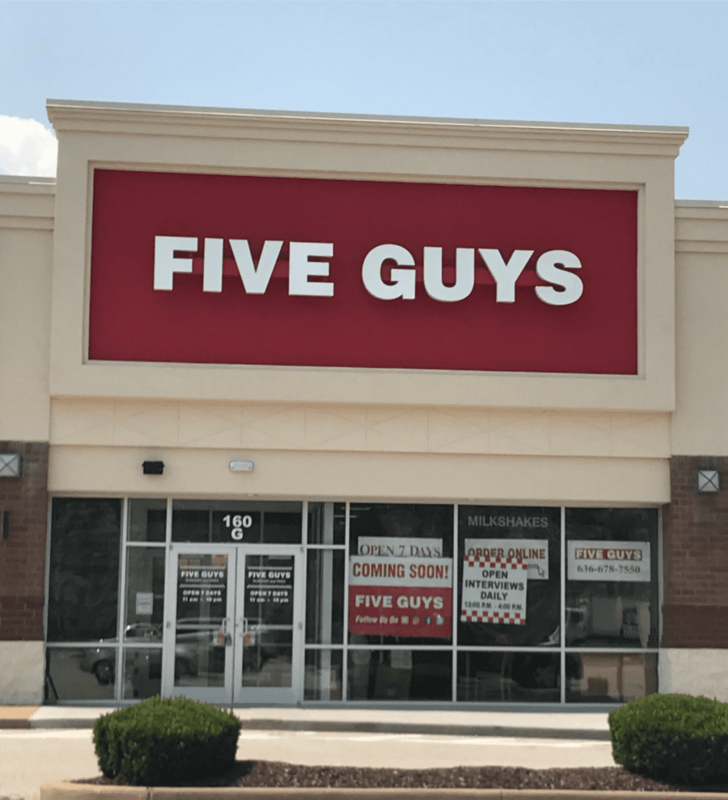 We are excited to announce Five Guys has officially opened at 160 Gravois Bluffs Circle, in Suite G. Five Guys offers shoppers another delicious food option at Gravois Bluffs Plaza. Congratulations, on your grand opening, Five Guys! Please click for leasing opportunities at Gravois Bluffs Plaza! Previous Post G.J. GREWE, INC. PROUDLY SUPPORTS TED GRUENER AND CITY OF HOPE! Next Post GOOSEHEAD INSURANCE NOW OPEN AT WATSON PLAZA!